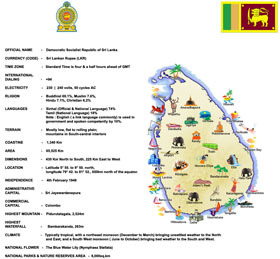 LOS BAŇOS, Laguna – Officials of the International Rice Research Institute (IRRI) and Sri Lankan government inked on Friday a comprehensive work plan to advance Sri Lanka’s rice self-sufficiency goals through joint research for development projects in the country in the next five years. Jacqueline Hughes, IRRI’s Deputy Director General for Research, and Honorable Sumith Nakandala, Additional Secretary for Bilateral Affairs of the Sri Lanka Ministry of Foreign Affairs were the signatories. The signing, which was held at the IRRI Los Baños, Laguna headquarters, was witnessed by Sri Lankan President Maithripala Sirisena and IRRI Director General Matthew Morell, during the former’s visit to the premier rice research institution as part of his state visit to the Philippines. The Sri Lanka-International Rice Research Institute’s five-year work plan will complement and help implement the new Sri Lanka National Plan for the Rice Sector. The plan is guided by 10 priority themes which will serve as the framework for joint collaborative research for development (R4D) pipeline projects aimed to enhance the resilience and viability of Sri Lanka’s national rice sector. “Improving the resilience and sustainability of Sri Lanka’s national rice economy through environmentally sustainable approaches is of utmost importance to address the complex challenges of population growth, agricultural production, and climate change in Sri Lanka. We are honored to have Sri Lanka’s continued trust and we remain committed to support their efforts to restore rice self-sufficiency and attain food security,” Morell said. In 2009, around 95 percent of Sri Lanka’s rice land had been planted with improved rice varieties. “We saw the positive effect of our long-term research collaboration and materials exchange to Sri Lanka when the country first gained rice self-sufficiency in 2010. This plan aims to improve and build on what we have learned from that to unlock the full potential of Sri Lanka’s rice sector and help the country regain this achievement once again.” Morell said.